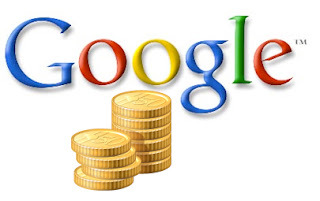 Google AdSense happens to be one of the best approaches when you are considering monetizing your site. A large number of webmasters are struggling to earn as much as they can via their portals whereas there are others earning hundreds of dollars every day by making use of Google AdSense Adverts on their websites. on the other hand, only placing an avert on your website is not sufficient to make you earn hundreds of dollars every day, you are required to think out of the box and optimize your site fully to earn a good income by making use of the AdSense adverts. You can also check out to see and analyze Top Most Expensive and High Paying Keywords of Google Adwords and Google AdSense from here. All those people who are experience is earning a six figure income using Google AdSense often exhibit some imperative tips to assist all those who are new with this AdSense revenue program. It is incredible how following these vital tips can be useful in increasing your income significantly. 1) By making use of the AdSense format of adverts have proven to be exceedingly well for most of the people out there. The advert the works the best for mostly is the Large Rectangle with the specs of 336X280. This large rectangle is useful in providing users with higher click-through rates or the CTR. So why not to opt for this particular format as mostly people are making the most out of it. this is for the reason that these adverts appears more natural, Internet users, being used to clicking over them prefer clicking over such kinds of links. Users browsing through your website may or may not be aware that they are eventually clicking on your AdSense adverts but as long as there are click, it is going to benefit you a lot! 2) It is important for you to consider the color of your advert before placing them on your site. Set an appropriate background of your advert so that it blends well with the background of your website. The title should be of the same color as the headings are on your page. Doing such things will ensure that your AdSense ad blends appropriately into your website and appears a part of your content other than being an obvious advert. This is going to result in getting more clicks from your visitors. 3) You should try having your ad as near the top of your website without overdoing it. Mostly people will be able to see your ads on the top rather than on the bottom of the page, as mostly users do not stay online for much time that they even scroll to the bottom. This is going to create a big difference to your earnings only by shifting your adverts from the bottom to the top of the page. You can also have some adverts near the navigation bar as it happens to be a great idea. 4) It is important to make use of the most relevant keywords within your content. This is going to help you optimize your site appropriately and it would become easier for the search engines to find you and provide higher page ranks. 5) You need to drive tons of traffic towards your site. In this regard, you need to do your best so that you can try the different approaches which are useful in driving traffic to your site. If you are considering earning a decent income via Google AdSense then you need to make sure that you are generating enough traffic towards your site on a daily basis. The visitors you are going to have, the more click and eventually you will be able to make more money out of it. Check out and Analyze Top Most Expensive and High Paying Keywords of Google Adwords and Google AdSense. Awesome post bro. You can also tell your readers about adding more and more tags in WP blog. Tag is very helpful for showing better ads on a page. Thanks!